Designed to seal and lock down the cuticle and restore hair to its proper pH of 4.5-5.5. 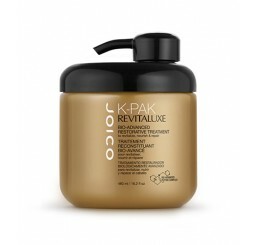 Excellent after chemical services and during the K-PAK Professional Hair Repair System. Our professional-only liquid Quadramine Complex spray designed to be used during color or wave processing to improve hair’s strength, even out porosity and improve end results. 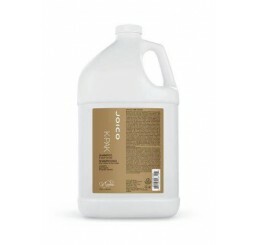 A 3- to 5-minute treatment (formulated to follow any Joico shampoo) that replenishes moisture and lipids to overly dry, damaged hair. This hydrating formula has a ph of 3.5 to seal the cuticle, creating a polished surface. Contains Shea Butter for increased elasticity and body. Even though your hair is very dry, damaged and frizzy, it will become healthier, softer, smoother and shinier. Plus, your hair will have increased manageability. A powerful five-minute reconstructor that rebuilds and strengthens stressed, physically and/or chemically treated hair. Weak and damaged hair is restored to its original strength and condition, helping to prevent color loss and making your hair more responsive to styling. This creamy, conditioning clarifier leaves hair clean, moisturized and radiant while providing a smooth slip for wet combing after deep cleansing. Ideal for those who live in areas with hard water, swimmers, styling product users and for anyone who will soon receive chemical services. A professional quality clarifier that removes styling product buildup, mineral deposits and chlorine, which can alter haircolor or inhibit chemical services.